Topic: Is it possible to set default naming conventions based on codec type and other properties? Is it possible to set default naming conventions based on codec type and other properties? That is, if I wanted the name field for all DTS-HD MA tracks to automatically enter as "DTS-HD Master Audio," does MakeMKV let me do that? Topic: Ability to preview audio tracks? Ability to preview audio tracks? On a technical level, how difficult would it be to implement an audio preview feature in MakeMKV? It would be incredibly helpful for those who only want to keep certain audio tracks, such as commentary. Topic: What does MakeMKV do differently than eac3to? What does MakeMKV do differently than eac3to? Why does MakeMKV add a language tag to a video stream even if the field is left blank? Audio is popping and crackling in random places. Never encountered this problem on any other disc. Anyone run into something similar? It only happens immediately after the jump for a single frame. 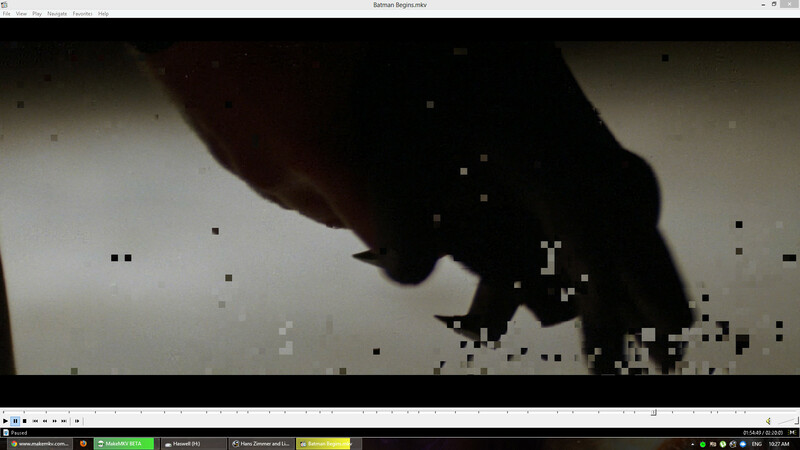 I think this is specific to Batman Begins; I just jumped chapters in some other rips and haven't run into this issue. Would it be possible to have an option to preview subtitles in a future version, or is that technically impossible?